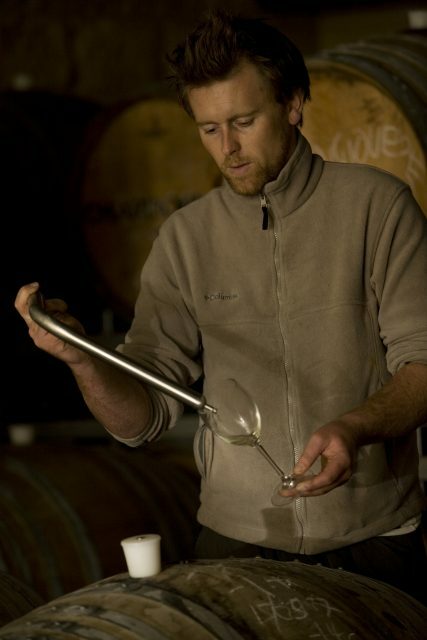 Mike Aylward is the founder and winemaker at Mornington Peninsula estate Ocean 8. He cut his teeth at his family’s winery, Kooyong, until it was sold and he moved to set up his own domaine. Focusing on Pinot Noir and Chardonnay in particular, Aylward has always been drawn to Burgundy where he makes regular “study trips”. I was very lucky to visit domaine Dujac when I was 24 years old. As we started tasting from barrel, torrential rain started pouring down outside. Instead of kicking us out into the deluge, Jacques Seysses (owner of Domaine Dujac) opened a half bottle of 1978 Clos de Beze (my birth year, 1979 wasn’t a great year so he subtracted a year to ensure we had a great bottle). This Pinot was absolutely singing. This was the moment I realised how elegant and perfumed Pinot Noir should be. Something I now strive for in the Ocean Eight Pinot Noir. Chablis – fresh, lively and hopefully good value. I really enjoy matching food and wine especially if it a great meal cooked at home. When you get the right mix together it is fantastic. ‘An expert is someone who knows more and more about less and less’. Not sure if this is advice but I like the quote regardless. Our 2011 Verve Chardonnay won amazing accolades around the world. I have seven bottles left in my cellar and haven’t been able to find it anywhere else. Would grab one or two of these. The best for me is travelling and seeing Ocean Eight on wine lists in amazing restaurants and retailers across the UK, the US and Asia. The worst – cork! I dream of seeing our region Mornington Peninsula become one of the great Pinot and Chardonnay growing regions in the world. The wines are easily good enough and just need awareness and appreciation of the wines to spread and a few more years to let the vines age. David Attenborough or perhaps the Federers. My wife has a massive crush on Roger and Mirka (Roger’s wife) has been seen enjoying our Pinot Gris. Mirka and I can enjoy a nice bottle while my wife tries to crack onto Roger. We score out of 20 in Australia…I give myself and my family a strong gold (19/20). It’s been great so far.